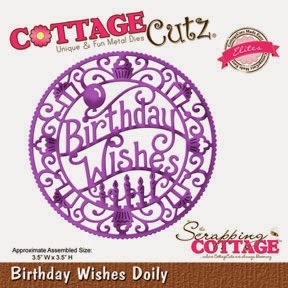 Today's Post is a Gift Card holder using the NEW CottageCutz "Gift Card Holder" Die & CottageCutz Tag Topper , Fancy Birthday Present, and Birthday Wishes Doily,all from the "CottageCutz Birthday Release"
So first I did cut out the CottageCutz Gift Card Holder using some pretty design paper, and then distressed it. Next I added some lace, and then a piece of a white doily, that I distressed. 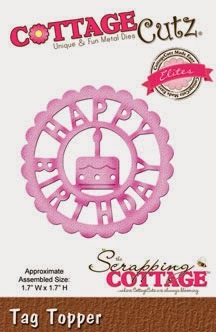 Next I cut out the Birthday Wishes Doily in pink, and distressed it as well. 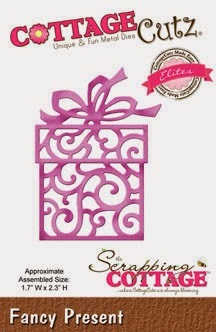 I only used a part of it, as I wanted it as the background for the flap of my gift Card Holder. The CottageCutz Fancy Present, and Tag Topper are both distressed as well, and then I added some Viva Pearl dots to both of them. 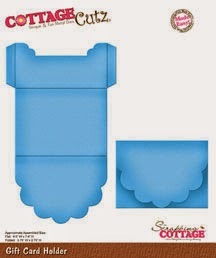 Please click on the photo's to take you directly to each CottageCutz die. The little bows, and big bow is made with RRR Seam Binding. Love the look of seam binding, and its very shabby chic! I added a button, and some pearls to the bows. I hope you enjoyed my post for today! Thank you for stopping by and have a lovely day! I love a Gift Card holder. Beautiful project!!!!! Super cute gift card holder Cheryl. Love the sparkle.